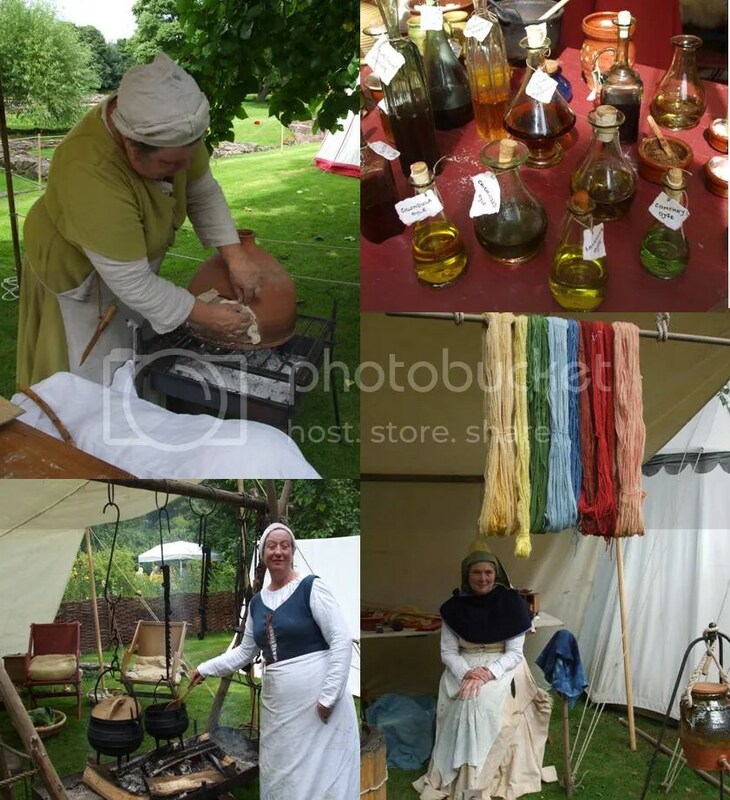 A Charming Way to Spend a Weekend! 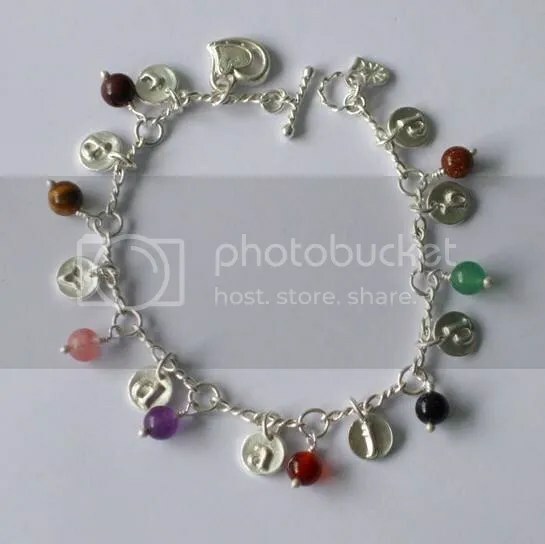 I had an idea this morning (Saturday) to make a sort of charm bracelet using one of my fine (pure) silver chains and the little pmc (precious metal clay) letter discs I made last Sunday ( see Sunday Playtime). 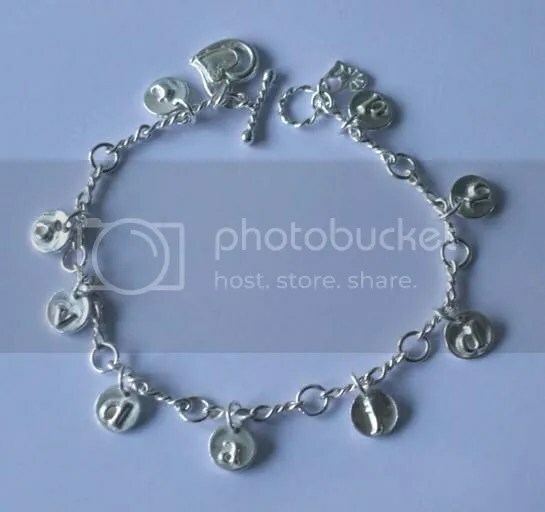 I have a fairly large immediate family and thought it would be a great idea to have the initial letter from each of their names on my ‘experimental’ charm bracelet. I am rather taken with the idea of having jewellery that moves a bit so I thought I would mount the discs on rings that would slide up and down on the bracelet chain. 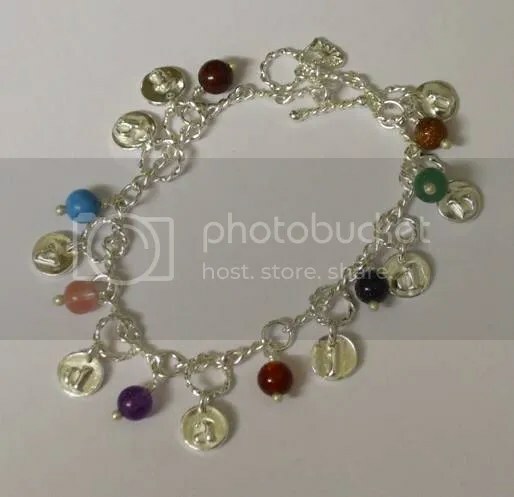 However, because there are so many of these discs on the bracelet they tended to get all clustered up in a clump!…so here’s my great idea…I have wired semi precious gemstone beads (relevant to the individuals whose initials are on my bracelet) onto the jumprings that connect the twisted elements of the chain together. As I went along I ‘trapped’ a slider into the spaces between the wired gemstones. This meant that they could still slide but only within their own little bay. The bracelet is surprisingly heavy and makes a fantastic changling ( my newly invented word to mean a rather subtle jingling!) noise as all the rings slither around on the chain. Well, I left it overnight to think about it and first thing this morning (Sunday) I took the whole thing apart again! 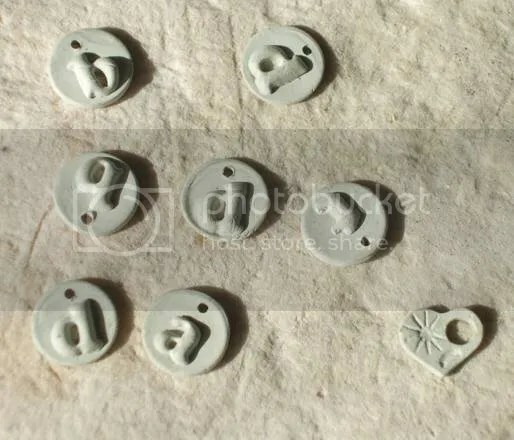 I decided to cut down the size of the rings the charms were mounted on – which meant that they only just had the clearance to slide about but made the whole bracelet more streamlined. Bracelet denuded of beads and with smaller attaching rings. 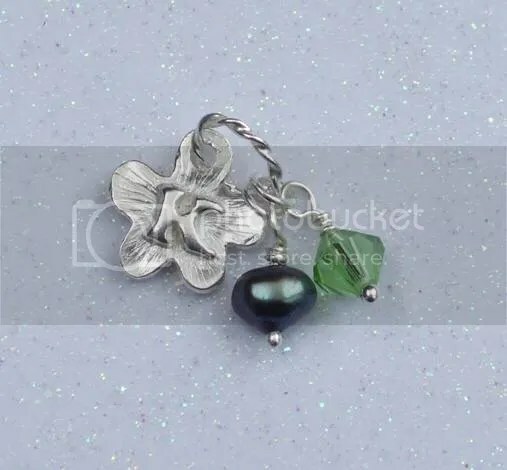 Then I reattached the semi precious gemstone beads and one of my pmc chunky heart charms at the ‘bar’ end of the chain to fill up what was a bit of a gap. I am a whole lot happier with this bracelet – it is more balanced and far more comfortable to wear. Before I put the beads back on I weighed the silver components of the bracelet and found it to be over 13 grams…so you know you have it on!! 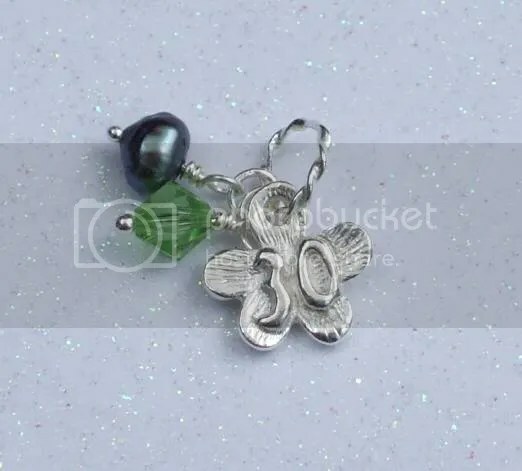 There is still plenty of room to add more charms if I decide to but I think I will wear it like this for a while and give it a ‘test drive’!. Finished bracelet ready for a ‘test drive’! I am really pleased with these little letter discs. In fact – I might take a temporary break from making flower based designs to have a go at some ‘wordy’ ones! I’m having a day out tomorrow to go to the British Craft Trade Fair at Harrogate, North Yorkshire, England. I really am terrifically excited and hope to get a real buzz from looking at the amazing craftwork people are making now…who knows – one day I might find myself exhibiting Solunar Silver Studio jewelelry there!! I’ll let you know what kind of day I have later in the week. By the way… for anyone reading my blog on condron.us – Yorkshire is another fantastic place to visit in the UK! !